Satisfaction with pregnancy loss aftercare: are women getting what they want? 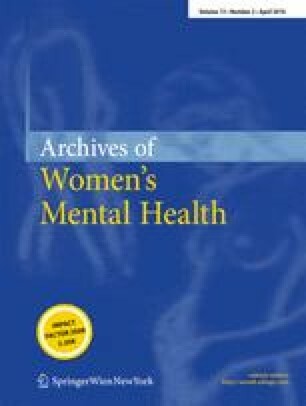 While there is increasing recognition that early miscarriage represents a significant loss experience that often provokes depression and anxiety, women’s dissatisfaction with some aspects of care received from healthcare professionals following a pregnancy loss and the potentially negative consequences of this are often less recognized. This review examines available literature to identify what comprises “treatment as usual,” how satisfied women are with the typical services they receive from healthcare personnel, and whether these services are consistent with women’s self-identified needs. Results are reviewed according to four major themes—patient satisfaction with: attitudes of healthcare providers, provision of information, interventions provided, and follow-up care. In general, women and families who have experienced a miscarriage report low levels of satisfaction in the presence of perceived negative attitudes from healthcare providers, insufficient provision of information, and inadequate follow-up care that did not focus on emotional well-being. Higher levels of satisfaction are reported among women whose providers were emotionally attuned to the magnitude of the loss, provided information, and involved women in treatment decisions when possible. Limitations of current research are reviewed and directions for future research, training, and practice are briefly discussed. The authors wish to express their gratitude to Alexa Bonacquisti, BS for her assistance with the preparation of this manuscript and table.